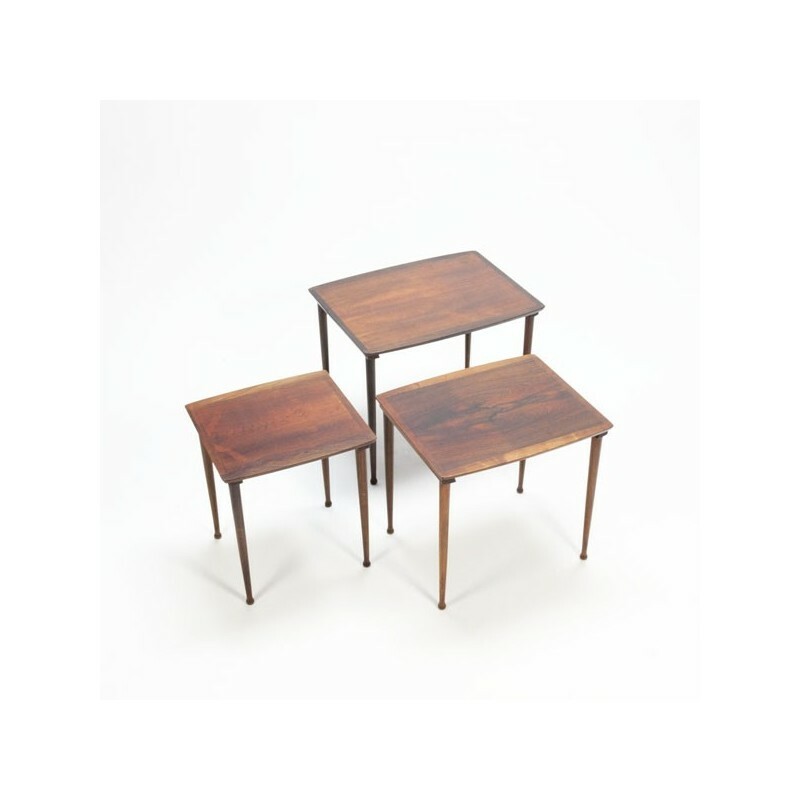 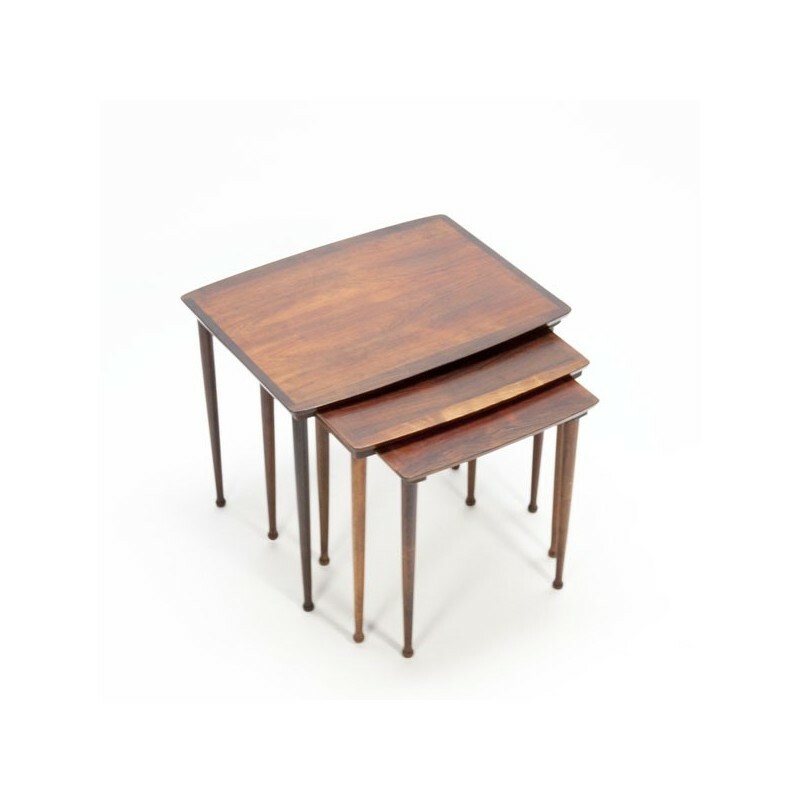 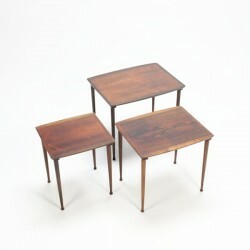 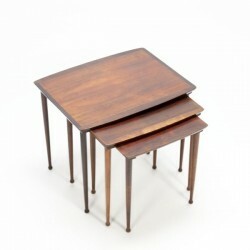 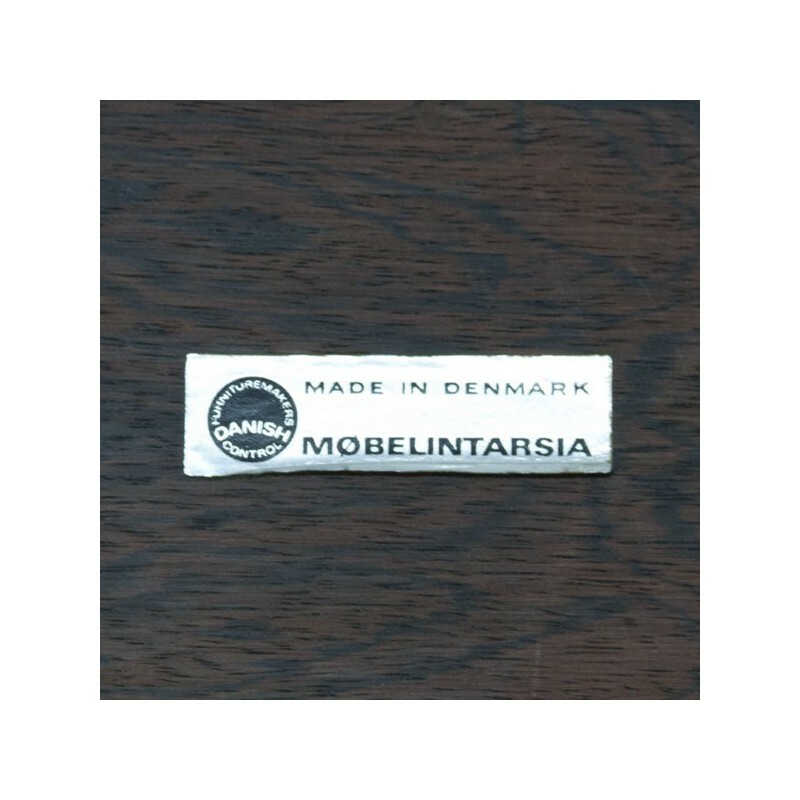 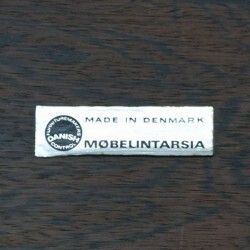 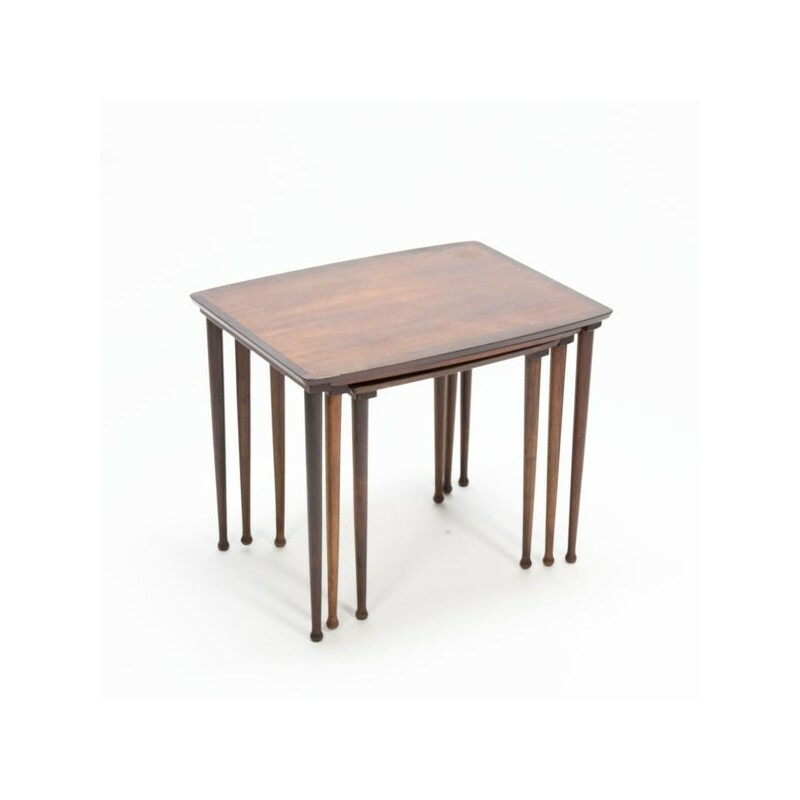 Vintage design set of three nest tables made ​​in rosewood, marked on the smallest table: Mobelintarsia and Danish furniture makers control logo. 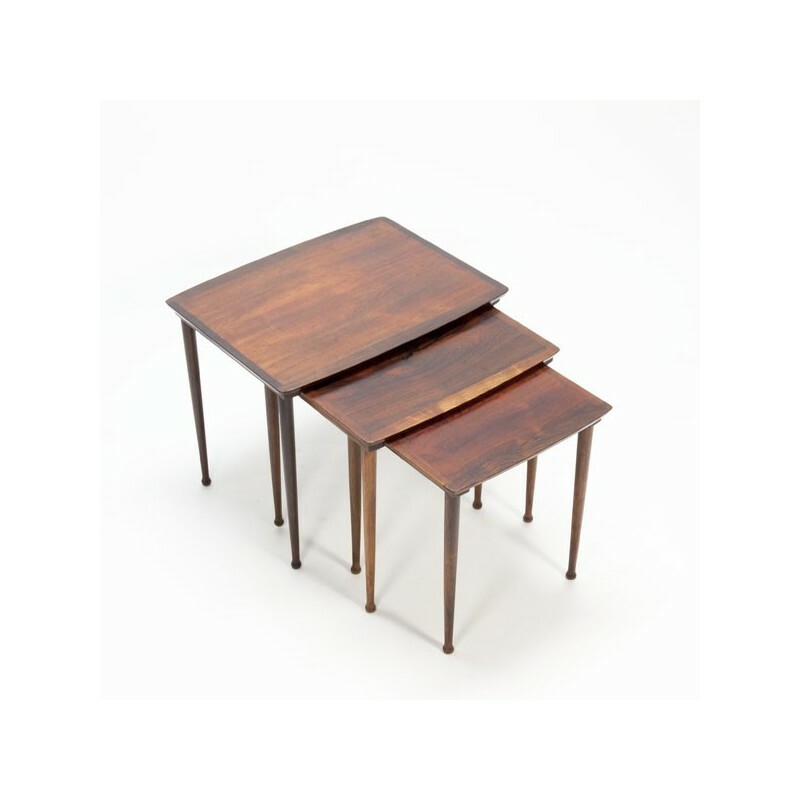 The tables hang interfitting when they are retracted. 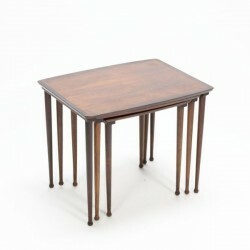 The condition is good, but there are on the smaller tables very light spots visible, see the detail photos. 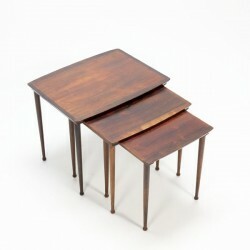 The size of the largest table is 55.5 cm L / 43.5 cm W / 45.5 cm H, 43.5 cm H / 42 cm H.